In Dutch Urbaniahoeve means the ‘city as our farmyard (hoeve)’. 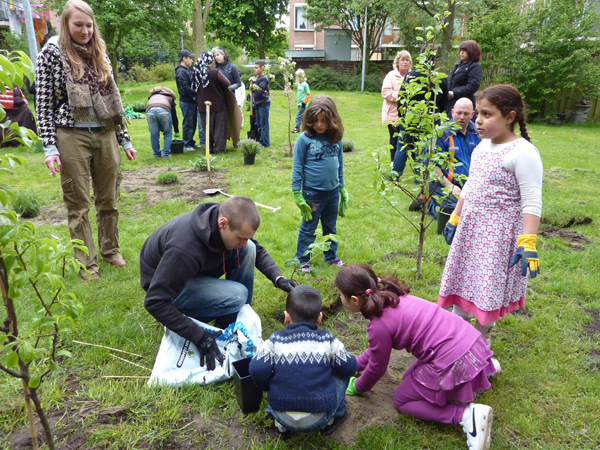 Established by Debra Solomon in 2010, Urbaniahoeve is a foundation that produces public space food forests, related education and training with locals in and for their own public space. In 2017 Urbaniahoeve was joined by Renate Nollen who has lived in the Amsterdam Zuidoost K-buurt/borough since 1989. In Urbaniahoeve, Solomon’s areas of expertise are soil-building, ecosystem production and (urban) climate adaptation. Nollen’s areas of expertise are domestic food production, biodiversity and habitat generation. 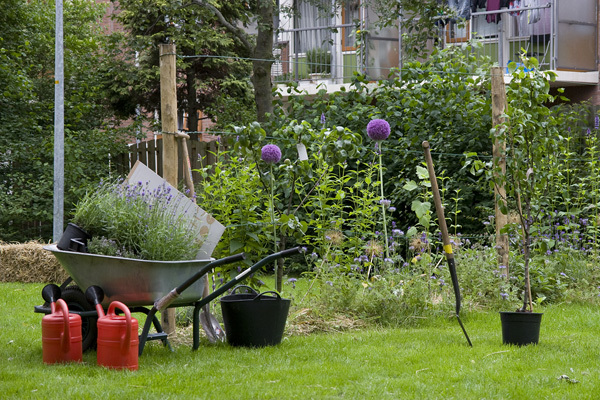 Current Urbaniahoeve public space food forest projects designed with locals include a 45 HA in Amsterdam Zuidoost’s K-borough and 6 HA in Amsterdam Noord’s van der Pek neighbourhood. Past projects include the urban food forests Foodscape Schilderswijk (2010-2014), Foodscape Wildeman (2013), DemoTuinNoord (2011 – ongoing, NL’s oldest food forest), and many other projects that are regularly cited in academic publications and architecture biennials.